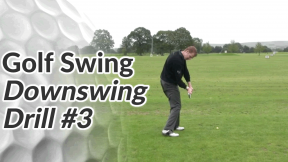 Golfers that slice the ball tend to bring the club down on an out-to-in swing path, cutting across the golf ball. 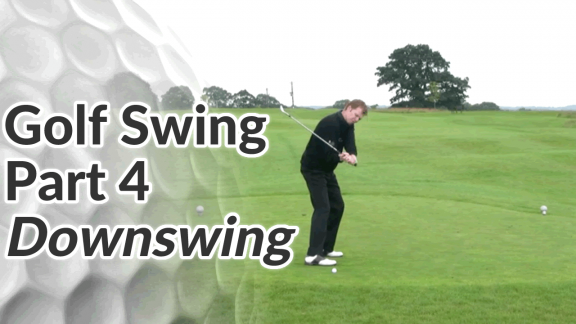 Likewise, hook shots are often caused by a swing path that is too flat and on too much of an in-to-out swing path. 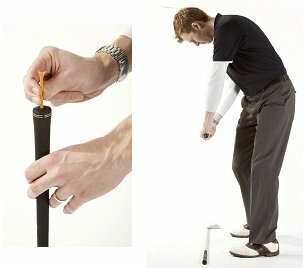 Place a long tee peg in the hole at the end of the grip. 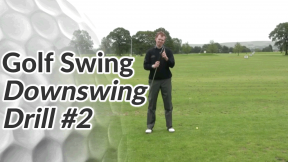 Pause at the top of your backswing and pull the club down by focusing on pulling the tee peg into the back of the ball. 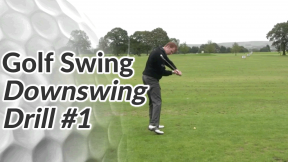 Also, as the club reaches a position that is parallel to the ground, make sure that the tee peg is pointing directly down your target line (see the image above).